Broadway at the Beach has been one of the most popular destinations in Myrtle Beach since its inception on July 4, 1995. Located centrally in the city, the shopping and dining district has grown in recent years to include more than 150 shops, more than 20 restaurants, as well as a 16-screen cinema and Big D Theatre. In Spring and Summer 2017, even more additions and upgrades will be coming to the district. The big three new additions are national chains Dave & Buster's, Paula Deen's Family Kitchen, and Carolina Ale House. 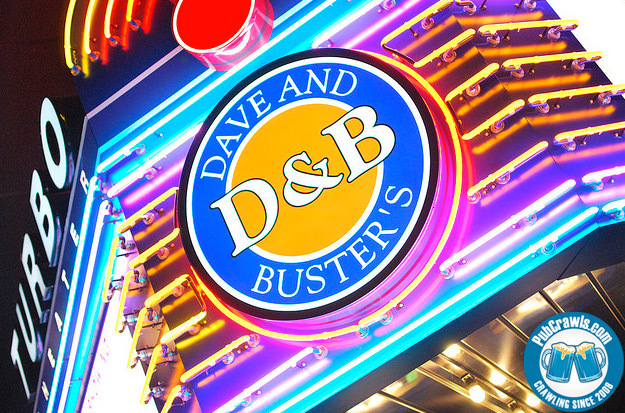 Known as an adult-fun park, Dave & Buster's offers up hours of entertainment, including traditional and modern high-tech arcade-style games. On the restaurant side, D&B features a full-service bar and a wide range of foods like burgers, pastas, steaks, and seafood. The restaurant is set to open its doors on Monday, June 5. Paula Deen's Family Kitchen will also be joining the Broadway at the Beach very soon. Set for a Spring 2017 Grand Opening, this southern-style restaurant features recipes and dishes from famous Food Network star Paula Deen. Get ready to south your mouth with options like Best Ever Southern Fried Chicken, Chicken-Fried Porkchop, Beef Pot Roast, Buttered White Rice, and Mac and Cheese. Breakfast, Lunch, and Dinner will be offered, so stop by and try out Paula's homestyle country cooking! Carolina Ale House is a sports bar and grill found throughout the southern United States. Set to open before July 4, 2017, the restaurant covers 9,000 square feet and features an exciting rooftop bar, high-definition televisions, and a wide selection of beer and sports memorabilia. Carolina Ale House will have a dinner and a bar menu, with items ranging from Pimento Cheese and Bacon Burgers to Baby Back Ribs to Chargrilled Ribeyes, so bring your appetite and watch the big game this summer at Broadway at the Beach. Other than these three new hot spots, new shops will be opening, including Sand & Sun featuring summer shoes for the family and Splash Fresh Bath & Body featuring items like bath bombs, soaps, bubble bars, shower gels, shampoos, body lotions, hand and foot care, as well as other bath and shower products. Additionally, you'll find a new 118-feet tall Ferris Wheel, Beef Jerky Store, and Southern Candle Studio. Renovations will be completed on King Kong Sushi, Christmas at the Beach, and Gemini Boutique to round out the exciting changes coming to Broadway at the Beach this Spring and Summer. Make a visit to Broadway at the Beach one of your top priorities this year during your Myrtle Beach vacation. You'll find endless shopping, dining, and attractions that will keep the entire family entertained!